Tianjin Municipality is China’s third largest province-level municipality after Shanghai and Beijing. It is bordered to the north and south by Hebei province, to the west by Beijing and to the east by Bo Hai, a shallow inlet of the Yellow Sea. At an area of 11,760 square km, it is the same size as Qatar. Tianjin proper, including the city’s historic center, is situated along the Hai River which links to the Yellow and Yangtze Rivers via the Grand Canal. Binhai New Area rests east of Tianjin proper, on the coast of the Bohai Sea. Binhai has been developed as a base for industrial and financial innovation. By the end of 2010, around 285 Fortune 500 companies had operations in the area. Tianjin’s development has historically been driven by its position as a strategic port of trade. This was especially true when the Grand Canal opened during the Sui Dynasty (581-618). 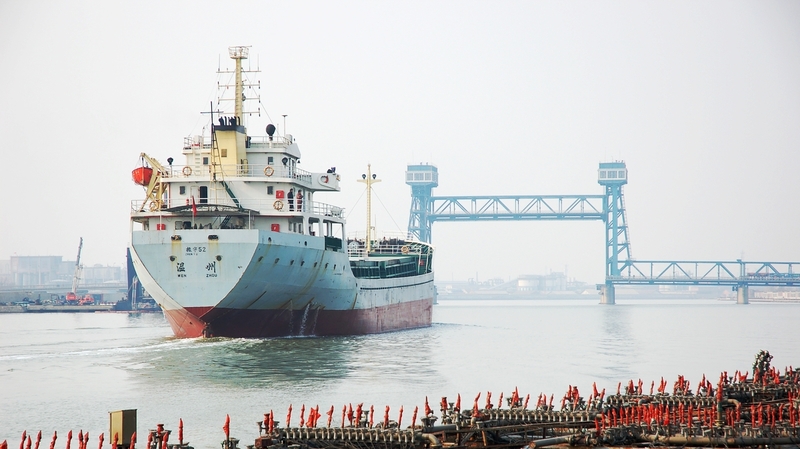 Its position at the terminus of the canal allowed Tianjin to become a primary storage and distribution point for grain and other foodstuffs shipped north by barge from central and southern China. During the Yuan Dynasty (1279-1368) Tianjin became an administrative as well as a trading center when the imperial court created customs and navigation offices and enlarged its warehouse and harbor facilities. During this time it also became a major producer of salt with the creation of salt making facilities along the Hai River. In 1404 Tianjin acquired its current name – meaning heavenly ford – when the Ming Dynasty (1368-1644) Yongle Emperor forded the river close to the city. Also during the Ming Dynasty, a military presence was established in the city and the Fort of Tianjin was constructed. 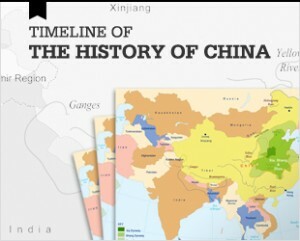 Throughout the Qing Dynasty (1644–1911), Tianjin saw a steady expansion of its commerce. Some of this commerce was generated by Europeans who developed an opium trade in the port. The Chinese eventually outlawed opium because of its corrosive effects on Chinese society. Some Europeans ignored the ban and continued to smuggle opium illegally through the city. The situation came to a head in 1856 when Chinese soldiers boarded the British-flagged Arrow, imprisoning many of the crew believed to be illegally trafficking opium into China. In response, the British and French sent in gunboats in what became known as the Second Opium War. Prevailing, the Europeans forced the Chinese to sign the Treaty of Tianjin which opened the city to foreign trade. 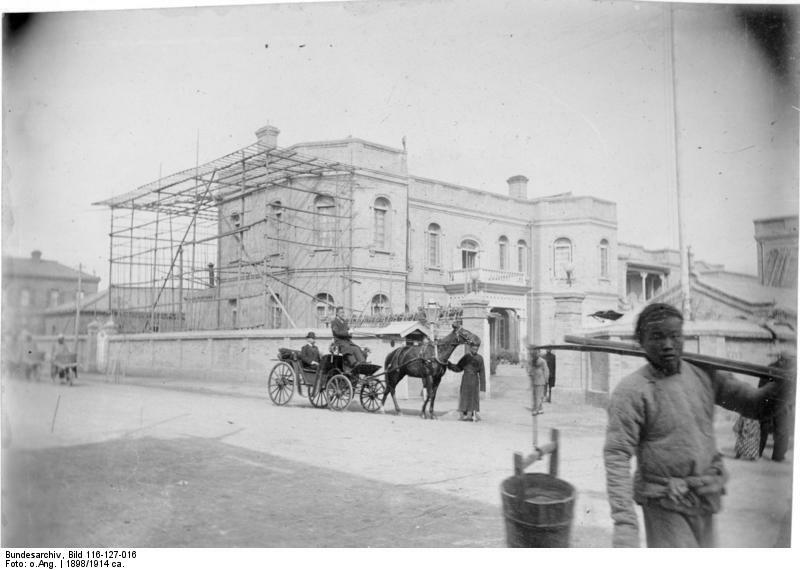 By 1900, Britain, France, Japan, Germany, Russia, Austria-Hungary, Italy and Belgium all had self-contained concessions in Tianjin each with its own barracks, hospitals, prisons, and schools. Many of the buildings constructed by the various imperialists during this time can still be seen in the city today. By 1870, the relationship between Chinese and foreigners living in the city was becoming increasingly volatile. An example of this volatility was the Tianjin Church Incident in which French Roman Catholic missionaries who ran the orphanage of the Our Lady of Victories Church were charged by Tianjin residents of abducting and brainwashing Chinese children. The subsequent confrontation resulted in violent clashes which left eighteen foreigners dead including 10 French nuns and the French Consul. The Church and the French Consulate were also burned to the ground. The Chinese government was forced by France and other Western nations to pay compensation. Anti-foreigner clashes erupted again in Tianjin in 1900 in the form of the Boxer Rebellion. The Boxers were poor Chinese peasants who believed their harsh living conditions were the result of imperialism and were determined to expel the foreigners from China. An obvious target of the Boxers was Christian missionaries. While many missionaries provided the Chinese with real social and medical services, the Boxers associated their arrival with the spread of opium in Chinese society. Aggravating the Boxer’s sense of injustice was the fact that many of the missionaries and foreign residents in Tianjin lived in walled, spacious, well-tended quarters which were in sharp contrast to quarters of the Chinese. 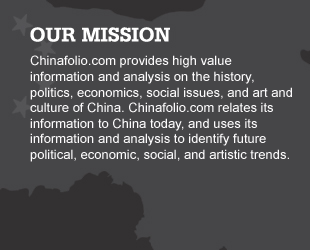 They were also protected by extraterritoriality and thus above Chinese law. In June 1900, the Boxers attacked, taking control of much of Tianjin. The foreign concessions came under siege for weeks. In July 1900 an eight-nation alliance retook the city from the Boxers and formed the Tianjin Provisional Government which was made up of representatives from each of the countries with concessions in the city. The Provisional Government governed until 1902 when rule of Tianjin was returned to the Qing court, although the British continued to maintain a brigade of two battalions in Tianjin and the Italians, French, Japanese, Germans and Russians also maintained smaller regiments in the city. Thereafter the Qing court, under the leadership of General Yuan Shikai, supported efforts to modernize the city. 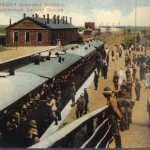 During World War I the German and Austro-Hungarian garrisons were captured and held as prisoners of war by Allied Forces while the Russian Soviet government withdrew its garrison in 1918. 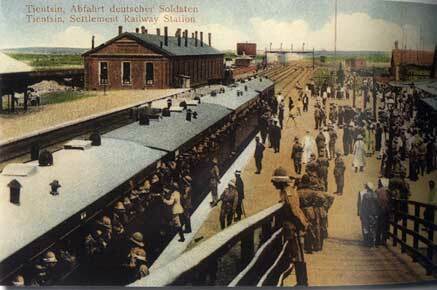 In 1920 the US sent the 15th Infantry Regiment to Tianjin to support Allied Forces. General George Marshall served in Tianjin during this time. In 1927 Tianjin became a special municipality under the direct administration of the Kuomintang government who ruled the Republic of China (1911– 1949) which was formed after the fall of the Qing Dynasty in 1911. At the launch of the Second Sino-Japanese War (1937-1945) the Japanese occupied Tianjin although they mostly respected the foreign concessions until 1941, when the American and British concessions were occupied after the bombing of Pearl Harbor. During the Japanese occupation, Tianjin was governed by the North China Executive Committee, a puppet state headquartered in Beijing. In the summer of 1939, Tianjin was hit by an epic flood, killing 20,000 people. 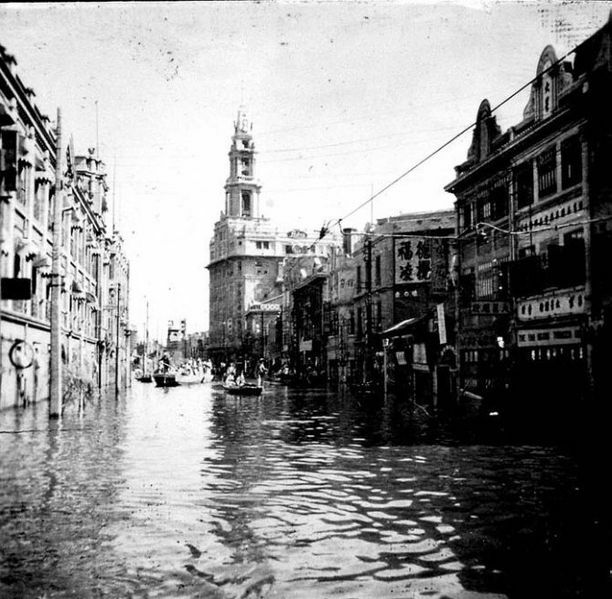 The water in the streets was two meters deep, so that boats were the only means of transport for upwards of two months. Also in 1939, the Imperial Japanese Army blockaded the British Concession after British authorities refused to release to Japan six Chinese who had assassinated a Japanese collaborator and were now hiding under their jurisdiction. It seemed that the stand-off would erupt into an Anglo-Japanese war, but Britain was already over-extended in Europe. Eventually the British had no choice but to handover the Chinese who were promptly executed. In August 1940 all British troops withdrew from Tianjin. In November 1941 the American marines unit stationed in Tianjin was also preparing to leave but Japan attacked Pearl Harbor first. The marines surrendered to the Japanese on December 8, 1941. Thereafter only the Italian and French concessions remained in the city. Japanese occupation of Tianjin lasted until the end of World War II when the Kuomintang reclaimed control of the city under the government of the Republic of China. During the Chinese Civil War (1945-1949) Tianjin remained in the Republic of China’s hands until it was captured by the Communists in mid-January 1949. Since then, the Communists continued to develop Tianjin as a trading and manufacturing base. The 1976 8.2 Tangshan earthquake killed 24,000 people living in the Tianjin area. The city withstood the shaking better than nearby Tangshan which was largely levelled at the cost of 240,000 lives. Most recently, Tianjin was one of several cities outside Beijing chosen to host events for the 2008 Olympic Games with several of the tournament’s football matches being held there. In 2008 Tianjin also hosted the annual Meeting of the New Champions of the World Economic Forum. In 2010, it hosted the UN Climate Change Conference. 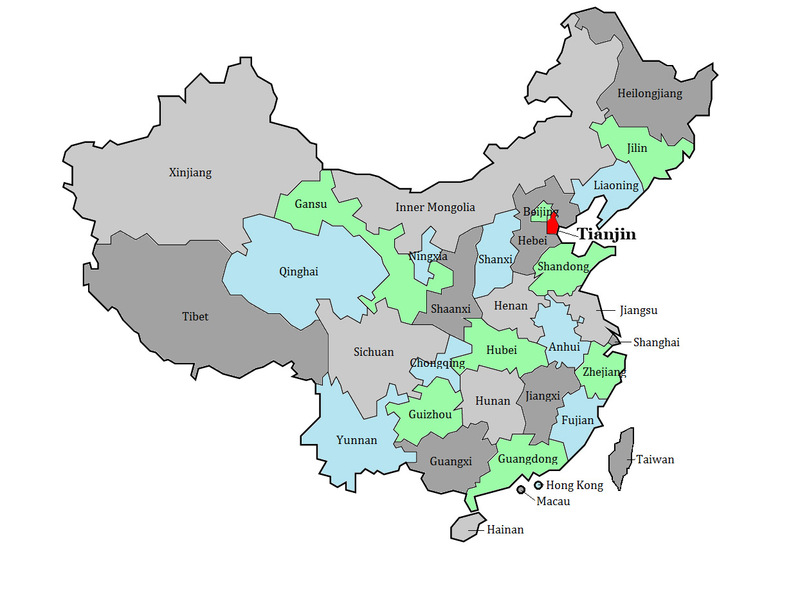 Tianjin Municipality has a population of over 15 million people. The majority of the population lives in Tianjin’s urban areas. Although it is estimated that 51 different ethnic groups live in Tianjin, almost 97% of Tianjin residents are Han. Other important ethnicities living in Tianjin include the Hui, Koreans, Manchus and Mongols. Tianjin has a GDP of $256 billion and the highest GDP per capita of all China’s administrative regions. In recent years Tianjin’s high GDP growth rates have been driven in part by spending on large infrastructure projects such as the extension of Tianjin’s metro system, and the upgrading of rail and road links between Tianjin and Beijing. Agricultural land accounts for about 40% of Tianjin geographical area. Rice, corn, wheat and fruit are the Municipality’s most important crops. Fishing also occurs along its coast. Tianjin Municipality also has some mineral resources including manganese, manganese-boron stone, gold, tungsten, molybdenum, copper, aluminum, zinc, limestone, marble, medical stone, barite, and natural oilstone. Petroleum and natural gas are found under its plains and under the continental framework of the Bohai Sea. Its Dagang District oil fields, for instance, are estimated to contain about one billion tons of petroleum. Salt production also continues to be important to the economy, and Tianjin is one of China’s most important salt production areas. Since the economic reforms of 1978, investment in Tianjin’s industry has accelerated rapidly driven in part by the many foreign firms who have now set up companies within the municipality. It is estimated that more than 21,000 Tianjin companies have benefitted from some type of foreign direct investment (FDI) and that accumulated FDI to date exceeds $47 billion. Today, manufacturing accounts for almost 55% of Tianjin’s economy. Important Tianjin industries include the production of machinery, iron, steel, textile mills machinery, agricultural equipment, machine tools, electrical equipment, bicycles, tractors, elevators, precision instruments, trucks, textiles, processed foods, hides, rubber goods, paper and watches. 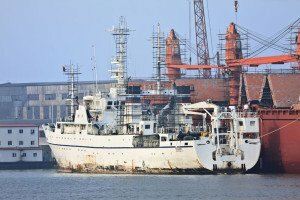 Tianjin is one of China’s largest manufacturers of mining equipment and a large center for shipbuilding and repair. Its chemical industrial complexes produce a wide variety of chemical products including agricultural fertilizers, pesticides, pharmaceuticals, petrochemical products, plastics, artificial fibers, dyes and paints. Bio-technology is also a growing Tianjin center. In recent decades, Tianjin has invested in developing its financial sector. In March 2008, Tianjin launched an Over the Counter equity market. It has also been at the forefront of the development of the private equity market in China. Tianjin is also working to expand its capacity as a hub for international shipping and logistics. Central Tianjin is situated on an alluvial plain where the Ziya and Yongding rivers and the north and south sections of the Grand Canal join before entering the lower reaches of the Hai River at Sanchakou near the Jin’gang Bridge of Tianjin. Tianjin spans both sides of the Hai River which is the largest river in north China. Its upper reach is fed by more than 300 tributaries of more than 10 km or longer. The Hai River continues east through the municipality until it enters the Bo Hai gulf. In general, the municipality is flat and can be swampy near the coast with elevations averaging between 2 – 5 meters above sea level. In the north, the municipality becomes more undulating where the Yan Mountains extend into northern Tianjin. At 1,078 meters, Jiuding Peak on the northern border with Hebei, is Tianjin’s highest elevation. Tianjin has 153 kilometers of coastline. The distance from the city proper to the sea coast is about 50 kilometers, and from the city proper to Beijing is 120 kilometers. Tianjin has a four season monsoon climate with cold, windy, dry winters and hot, humid summers. Spring sometimes brings sandstorms from the Gobi Desert which can last for several days. The heart of Tianjin’s Old Town is the Drum Tower. Originally constructed during the Ming Dynasty, it was demolished during the Culture Revolution, but rebuilt in 2001. Next to the Drum Tower are good shopping streets some with ornate archways. Across from the Drum Tower is the Guangdong Guild Hall also called the Museum of Opera. Built in 1907, it is a highly decorative building with ornate woodcarvings; it still holds performances of traditional music. Also nearby is the Qing-era Confucian Temple. 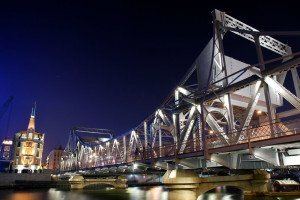 The Liberation Bridge area, next to Tianjin’s main train station, is close to the old British Concession. The riverside area around the bridge has been largely renovated and splendidly lit at night. Housed back from the riverside are several notable historic buildings including the former French Municipal Administration Council Building built in 1924, the Sino-French Industrial and Commercial Bank built in 1932 and the Yokohama Specie Bank Ltd built in 1926. The Monastery of Deep Compassion is Tianjin’s most important Buddhist Temple. It is remarkable for its multi-armed golden statue of Guanyin situated inside the Shijia Bao Hall. In the alleys nearby is a wonderful market selling religious artifacts. Another important Tianjin temple is Tianhou Temple which is dedicated to the goddess of sailors. 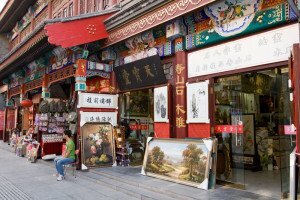 It is found on Ancient Culture Street which provides good shopping for Chinese bric-a-brac of variations. Wudadao or the Five Large Roads area is home to many European-style villas built at the beginning of the 20th century. The area showcases over 230 buildings in a wide variety of architectural ranging from Renaissance, Greek, Gothic, Romantic and Eclectic. A carriage ride makes a good way to appreciate the varied architecture. Tianjin Eye is a 120-metre tall Ferris wheel built above the Yongle Bridge over the Hai River. It has 64 exterior transparent capsules, providing excellent views of the city. A round-trip requires 40 minutes. 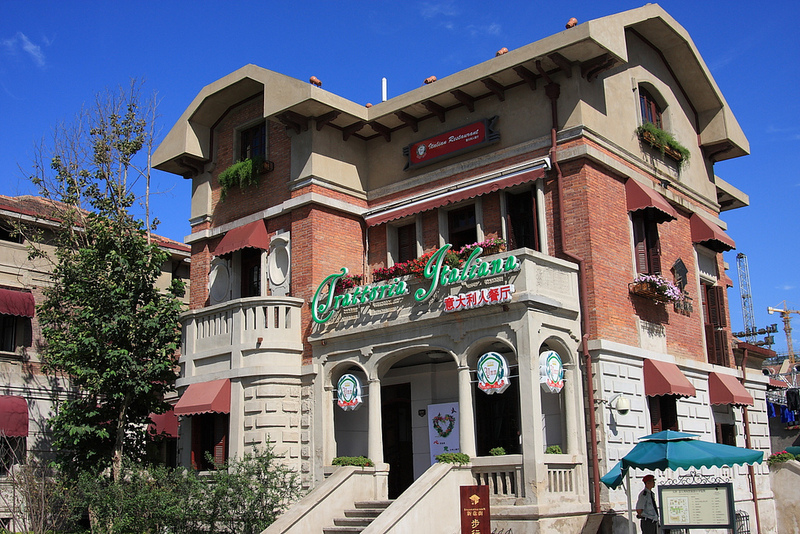 Tianjin’s Italian Concession was newly refurbished in 2005. Some of the area’s more reknown architectural sites include Liang Qichao’s Yinbin Room, Residence of Feng Guozhang, Residence of Cao Yu, Residence of Hua Shikui, First Worker Cultural Palace and the Italian Military Camp. At the Concession’s heart is Macro Polo Plaza. 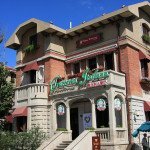 It is an excellent place to have a traditional plate of Italian pasta or pizza. The Tianjin Museum showcases an extensive collection of art and relics including calligraphy, paintings, bronzeware, ceramics, jadeware, seals, inkstone, bones and tortoise shells with inscriptions of the Shang Dynasty and coins. Garden of Serenity, the Former Residence of Pu Yi, the last emperor of China, was built in 1921. The Spanish architectural-style residence is set in a series of courtyards. Inside the building is an exhibition of papers and photos related to the daily and political life of Pu Yi.